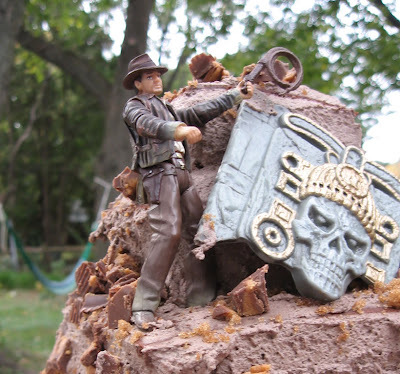 Indiana Jones Cake... there he is, Harrison Ford. I loved it. 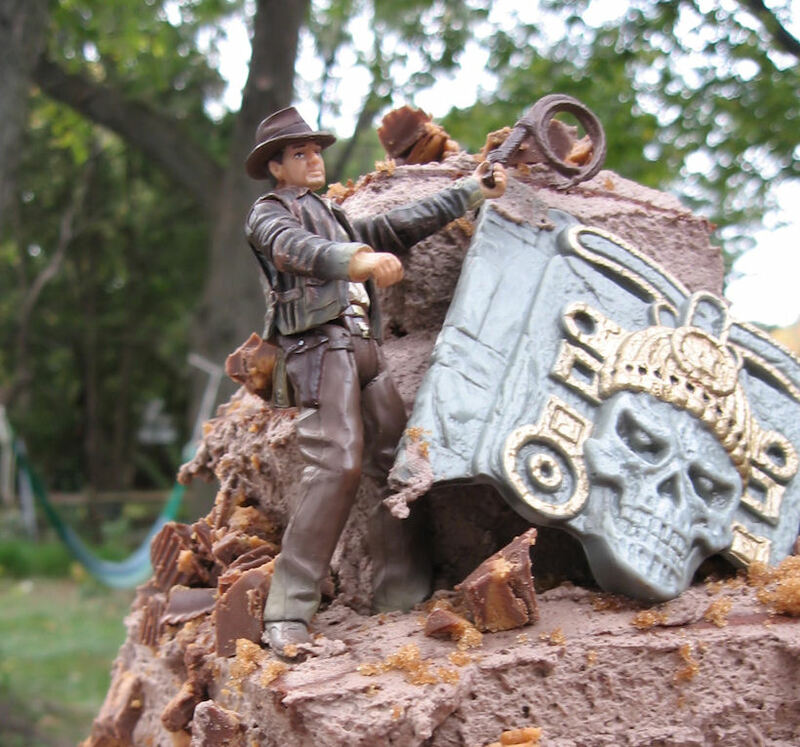 Harrison Ford... popping out of a cake... in my very own kitchen! What more could a lady ask for? Well... maybe a Harrison about 20 years younger and not made out of plastic! Notice he has the whip at the ready! Just in case the kids get out of line! My son turned 9 this weekend! Go Deva! As my dear husband whisked 4 boys away to the local pumpkin farm and giant corn maze, I whipped up this fun cake. Deva loves Indian Jones, so I figured I would attempt to make some sort of "temple cake". What do you think? Did I succeed? I made this easy on myself. After being bombarded with work and all sort of Project FoodBlog activities, I opted for the box cake mix. Have you ever used Dr. Oetker cake mixes? I have. They are not the same as my wonderful moist favorite chocolate cake recipes, but they will do in a pinch when homemade doesn't matter but when "no artificial ingredients" does. 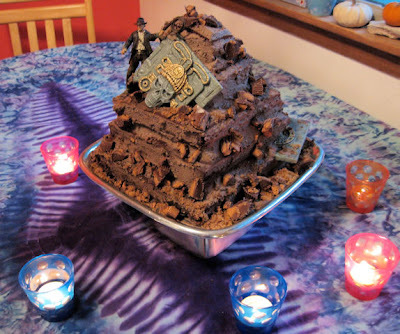 They worked especially well for making a cake that I was just going to cut apart anyhow and shape into a pyramid and then proceed to stick a plastic action figure into. I made 2 9x9 cake pans as well as one 9 x 13. I lined all the cake pans with parchment paper after buttering them as well. This helped for when I flipped them out of the pan. I cut the cakes up into layers, each one being about 1 inch smaller than the rest. The very top layer of the pyramid was even smaller. I did that to satisfy my husband who must have been an archeologist in another life. He has spent much of his adult life in Guatemala, visiting and studying ruins and pyramids. I knew he would be sure to tell me the correct name and design of the "portal into the underworld" in the Mayan language as soon as he caught a glimpse of the cake. (He did do this you know, he likes to show off his own inner "Indiana" when faced with anything that might resemble some sort of ancient ruin). I guess my cake must have really looked like the real thing! Birthday Cake waiting for the Birthday Boy. I used a pint of Organic Valley Whip Cream for the Chocolate "mortar". I threw in about 1/2 cup Hershey's Special dark cocoa powder and about 1/4 cup of sugar and whipped in the mixer with the whisk attachment. I specifically over-whipped the cream to give it a muddier, paste-like look. After layering the cake, I used brown sugar and sprinkled the entire pyramid with it, adding lots of the sugar around the base. 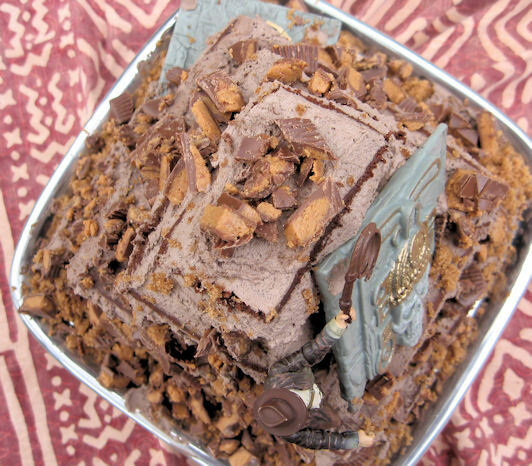 Twelve Reese's Pieces were chopped and then pressed into the sides of the cake to give it even more of a tumbled down pyramid look. My daughter proceeded to wash/sterilize Indiana and the other plastic parts that were going on the cake. She arranged them just so, and like magic... an Indiana Jones Birthday Cake was born! Top view of the pyramid. 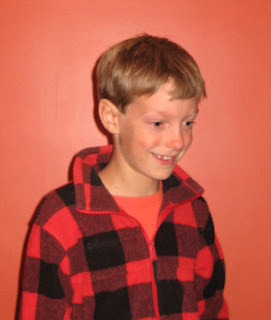 When my son returned from his afternoon of being lost in a corn maze and shooting sling shot pumkins, he walked in the kitchen door and his jaw dropped. He was thrilled and let out an "Awwww Cooooooooool, Check out my cake!". At nine, boys don't really want to be hanging around their mommy's too much. But Deva did say, while devouring his piece of the cake, that he wanted this cake every year of his life and wanted to add on a layer for every year. Gotta love your kids! Here is my son's face when he first caught glimpse of the cake! 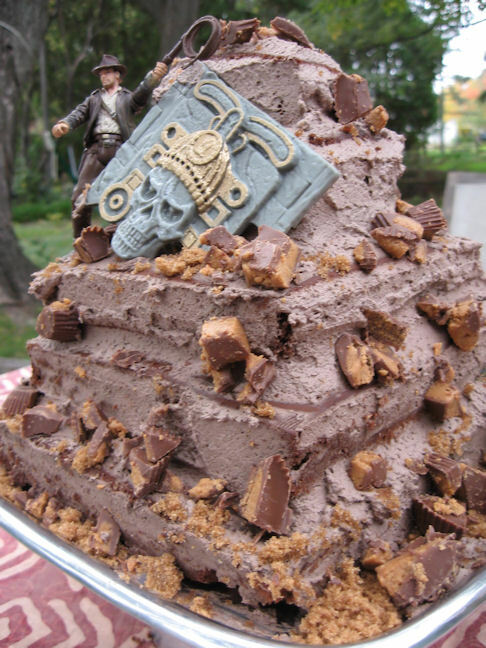 So,,, if you are in the mood for a bit of Harrison Ford, know that you too can easily whip up this pyramid cake. Channel your inner Indiana! Indiana getting a firm foothold on his pyramid. Aw cool! That is a pretty awesome cake. With all that decorating, I can hardly fault you for using a mix! Wow, your cake is just fantastic! Happy Belated Birthday to your son. Harrison Ford! I'm a big fan of him! Gosh, when my daughter was maybe about 4 or 5 years old, I told her that before I met my hubby, Harrison Ford was my boyfried! She believed me and will get excited each time she saw him on TV! LOL! Such sweet memories! Thanks for reminding me! Love it! I sure do miss making kid themed birthday cakes! What an absolutely amazing cake. You have a real talent. This is really really fantastic!!!! Love the layers, the more uneven, the better. We rarely get to make purposely uneven cakes, some more cakes that are made to look dirty. I guess with 2 girls, I won't be able to make such a cake. I do hope I get to make such a cake in the future. Your cake is so so inspiring. Just amazing! My husband and I went to watch Raiders of the Ark at an outdoor movie festival this weekend...so I'm totally in the Indiana Jones mind frame. Happy Birthday to your son. What a wonderful cake to celebrate his special day. Thank you for sharing! OMG Megan, mamamia! This is the cake you mentioned to me. This is huge and I am so impressed. Gosh, you're so creative! How I wish I can have a slice of it right now. Btw, where did you get that cute little Indiana Jones? haha... Bet your boy is totally thrilled when he saw this cake. Thanks so much for sharing and hope you're feeling much better now. Take care & thank you for everything. Btw, just voted! Wishing you all the best and good luck. How inventive! What a fantastic idea, it really works well with the Harrison Ford figurine. LOVE that cake - no wonder your son looked so happy. Looks incredibly beautiful! Now I am off to vote. All the best with the challenge! AWESOME cake, I want to be young and have YOU do my cake. 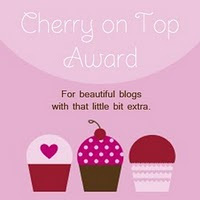 Thanks for your vote! That is an awesome cake. I'm sure your son loved it. You are the best mom ever, what a lucky son to get such an awesome cake. 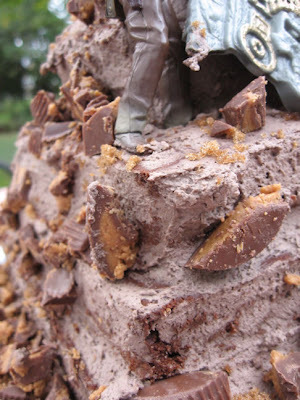 Especially with all those reese's on it, I don't know how you resisted eating all the topping!